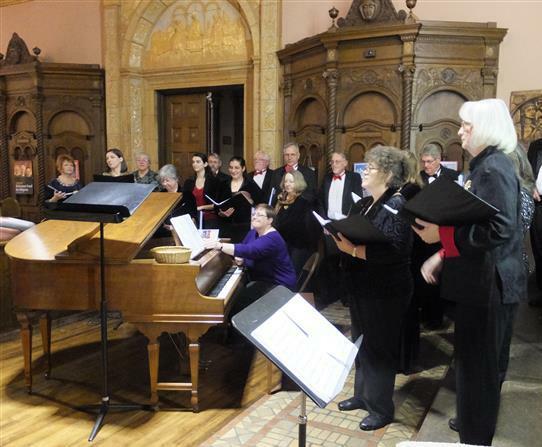 The Freudig Singers in concert at Blessed Trinity, December 2 at 3 PM. Maintaining their Christmas Pie Concert tradition, the Freudig Singers of Western New York will usher in the holiday season at Blessed Trinity with a glorious array of choral pieces selected by music director Roland E. Martin. The program will include new works as well as traditional holiday favorites. As always, “Christmas Pie” features a raffle of signature pies baked by chorus members, and a post-concert reception where audience members are treated to beverages and – you guessed it – a delicious serving of Christmas pie. Tickets are priced at $15 and may be purchased from any Freudig singer or at the door. For further information, visit www.freudigsingersofwny.org. is wheelchair accessible with secured, off-street parking.